He was something as a rival to his friend Marvin Gaye in the early sixties, when both young men were singing in the clubs in and around Detroit. Not the same Walk On By as sung by Dionnie Warwick, and although the song is credited to a single artist: Lee Rogers it is better described as a group sound (probably The Barons). Roger Lee Craton, a .k. 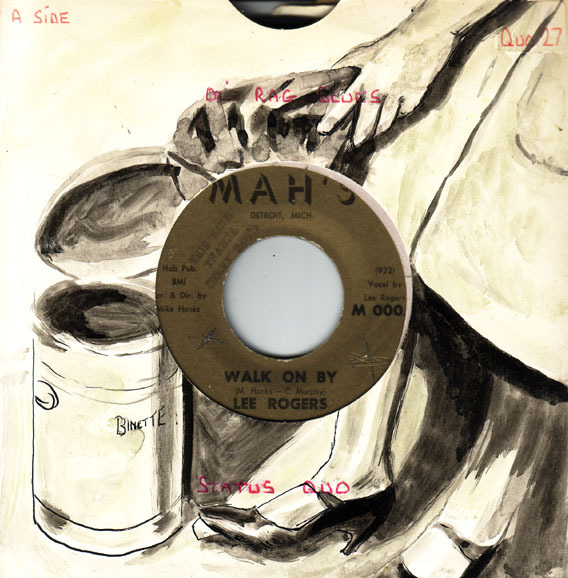 a. Lee Rogers, was born in Mississippi but grew up in Detroit; the above was his first record after going solo, he had previously sung with The Peppermints and latterly The Barons. For more on Lee Rogers go here.